An essential element of an e-mail is the e-mail address. The address tells the Internet where to send a message. 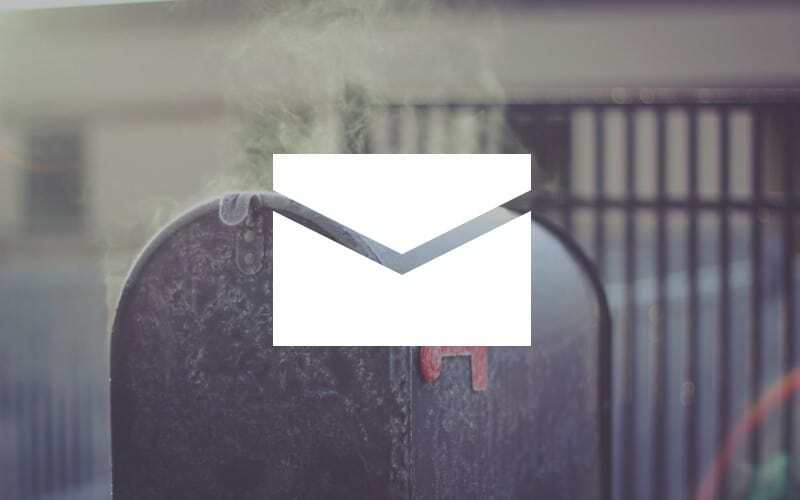 Your personal e-mail address is like having your own post office box. It is a unique address that allows people to send messages directly to you. @ –The axon sign is required in all Internet e-mail addresses. It allows the e-mail software to distinguish between the username and the domain name. com –The domain name identifies the company, organization or e-mail service of the account holder. Taken together, the three parts of an e-mail address provide a completely unique address identifier for every account, which allows the Internet to find your mailbox among all the millions of other mailboxes in the world. 4 Method No. 1: Ask. 5 Method No. 2: Use online directories. 6 Method No. 3: Check business cards and websites. 7 Method No. 4: My old messages. 8 Method No. 5: Search for online references. 9 Method No. 6: Take a guess. 11.1 Why does my contact list include names I never added? 11.2 Do I need to add all the extra information (phone number, job title, etc.) to my contacts? 11.3 I’m using a new e-mail client. How can I add my old contacts? 11.4 I have someone’s old e-mail address. Can I use it to find his or her new address? 11.5 I accidentally deleted an important email. Is there a way to get it back? 11.6 How can I get an email address using a custom domain name and top-level domain? 11.7 What happens if I type in an email address incorrectly? 11.8 How can I get a personalized domain name? 11.9 Will an e-mail address always end in .com? 11.10 Can I use anything as my username? 11.11 Someone is already using my username. What can I do? The end of the domain name consists of a dot (“.”) followed by three or more letters (such as .com and .gov) that indicate the top-level domain (TLD). This part of the domain name indicates the type of organization or the country where the host server is located. In the case of our example, the top-level domain is .com. More information about top-level domains is available at the website of ICANN, the organization that administers TLDs. For e-mail addresses outside of the United States, there is often a two-letter country code. For instance, .ca indicates Canada, .uk indicates the United Kingdom and .mx indicate Mexico. Here's a complete list of Internet country and territory codes. Below you can see the difference between an e-mail address and the address of a website, also known as a URL. Notice that a Web address never contains an @ sign. Here's a challenge for you. How do you find someone's e-mail address? As you might suspect, there are a number of ways to go about this. Before you read any further though, make sure you understand the anatomy of an e-mail address by reviewing the “Understanding E-mail Addresses” article. It may seem obvious, but the easiest way to get someone's address is to just ask. If you already know the person, pick up the phone and call. It will certainly save you a lot of time and effort. Method No. 2: Use online directories. It would be very convenient if you could consult a central directory of e-mail addresses. Unfortunately, no comprehensive directory exists, at least not yet. Why not, you may wonder? Imagine the task of compiling hundreds of millions of addresses from all over the world. Keeping the directory current would present an enormous challenge, given the frequency with which people change addresses. Then there's the privacy issue to contend with. Like phone numbers, many people don't want to be listed. While you can access a number of online directory services, their usefulness is limited. Many are not up-to-date. Also, if the person you're looking for has a common name, the database may turn up a number of addresses. Which one is correct? You'll just have to guess. One database you can try is Spokeo. If you strike out, don't give up. Try another approach. Method No. 3: Check business cards and websites. Most people list their e-mail address on their cards, so if you have one, go look there. Or go to the company website and see if there's a staff directory. Method No. 4: My old messages. If you've received a message from someone in the past, it contains the person's address. Many e-mail programs, like Outlook and Yahoo! Mail, automatically record the sender's address in your address book. If it's not there, locate the address by opening the old message, then double-clicking on the name in the FROM: field. This should open a box that displays information about the sender. If you've never received an email from the person, is it possible you were both copied to the same message? If so, try to locate a message to which you were both copied and mine their email address from the TO: or CC: field. Method No. 5: Search for online references. If you're looking for the address of a journalist, politician or corporate executive, try using a search engine. For help, refer to the “Searching the Web” article. Your search may turn up articles written by the journalist that contain her e-mail address. Many politicians now have websites with contact information and many companies list key executives along with their e-mail addresses. You can use search engines to perform very targeted email address finding queries. Take a look at the following video for some advanced tips on using Google to find email addresses. Method No. 6: Take a guess. Once you understand how e-mail addresses are constructed, you may be able to figure out someone's address. Believe it or not, guessing frequently works. If you know where a person works you can usually figure out the domain name, for instance, websitebuilders.com. But what about the recipient's mailbox? Her first and last name separated by an underscore (mary_jones@websitebuilders.com). If you've received an email from someone else at the same organization, try copying the same format. If that doesn't work, give a couple of different configurations a try. The worst that can happen is that the message is delivered to someone else at the organization or that it comes back to you. Send it again using an alternate form. With any luck, it will arrive in her Inbox. When handwritten letters were the norm, everyone had an address book–or maybe a Rolodex–to keep track of all those names and street numbers. E-mail addresses can be just as hard to remember, so we need a similar solution to keep track of them. E-mail programs have an address book feature where you can record the e-mail addresses and other information of people you contact frequently. By using the address book, you won't have to retype an e-mail address each time you want to send a message. This saves time and avoids returned mail due to typing mistakes. With some programs, you can store multiple e-mail addresses for each person and additional information, such as a company name, telephone number, and street address. With most programs, you can create a set of e-mail addresses called a group. When you address a message to a group, the message is automatically addressed to all the people in the group. This is sometimes referred to as a mailing list. As your list grows, use the Search or Find function in the address book to locate an e-mail address based on a person's first or last name. Contact lists are a convenient tool for managing all of your friend, family, and co-worker e-mail addresses. As technology has improved, many e-mail clients have found ways to make their address books even more convenient, such as including predictive typing. As you begin to type a name or address, many programs will suggest names from your contact list. This way, you don’t even have to open your list to use it! Why does my contact list include names I never added? Some e-mail clients, particularly on mobile devices, may include contacts from other accounts, including Facebook friends or your phone contacts. They may also add individuals you have sent the e-mail to in the past. In most cases, you can tell your e-mail client to include or remove these additional contacts. Do I need to add all the extra information (phone number, job title, etc.) to my contacts? The only information you absolutely need to add in order to use a contact for e-mailing is the person’s e-mail address. You don’t even have to add their name. But you probably should. Everything else is just additional context you can include for your own sake. If you add a business partner to your contacts, it may be helpful to know his or her title. Adding phone numbers and addresses gives you one location to find any information that may be useful about the contact, whether you need to e-mail, phone, or send them a letter. I’m using a new e-mail client. How can I add my old contacts? Most e-mail programs provide some way of exporting and importing contacts. Depending on the supported export/import options, there are various ways to move your old contacts from one client to another. I have someone’s old e-mail address. Can I use it to find his or her new address? Unfortunately, when people leave behind e-mail addresses, messages sent to them usually gets lost in cyberspace or bounced back to us. There are ways to set an old e-mail account to forward to your new one, but it only works with some accounts and most people don’t bother. But all is not lost. Having an old e-mail address can be a starting place for your search. Try using it to track them down on social media. Check any saved e-mails you might have that address. Lots of people will send one final e-mail from a dead address, letting people know where to send future e-mails. I accidentally deleted an important email. Is there a way to get it back? The first place you should check is your Trash or Deleted Items folder. If you haven’t emptied it recently, the old message may still be there. You should be able to sort the folder or do a search for the sender's name. If that doesn’t work, check your Sent Mail folder, and look for messages you may have sent to them. Most people don’t delete their sent items, so it’s a good place to track down a forgotten address. How can I get an email address using a custom domain name and top-level domain? If you want an email account that has a custom domain name and TLD you have a few options. First, you could register the domain name with a domain name registrar such as Domain.com or Namecheap, and elect to purchase email service from them as well. Second, you could work with an email provider such as Gmail and purchase a premium plan which includes support for custom domain names. Finally, if you already have a website hosted by the domain name you want to use for email, log into your hosting account and look for email account settings in the hosting account control panel. Depending on the details of your hosting plan, you can probably create email addresses from your hosting account control panel and then follow their instructions for accessing the account using either a web-based email client or a desktop email application such as Microsoft Outlook. What happens if I type in an email address incorrectly? If you accidentally type in an email address incorrectly one of two things will happen. First, if the mistyped email address actually exists the email will be delivered to that email inbox. You can try to retract the email – a somewhat technical step that varies considerably from one email client to the next – but there's a good chance the email will simply be delivered to the address you typed. Second, if the mistyped email address doesn't exist you'll receive an error message stating that the email could not be delivered. How can I get a personalized domain name? Personalized domain names are great, particularly if you run a business or need to present a higher level of professionalism in your communications. Getting your own address is a fairly easy process. You simply need to register your personalized domain name and subscribe to an e-mail hosting service. For more information, see Name Your Domain. Will an e-mail address always end in .com? While .com is the most common ending for an e-mail address, addresses can be registered to any type of domain. For example, most colleges use the .edu ending, so student and faculty addresses end in .edu. Likewise, government organizations use .gov, so your representative’s e-mail probably ends in .gov. Can I use anything as my username? You can use any combination of numbers and letters in your username. You can even add many types of special characters. There are some restrictions on the types of special characters and their placement within the username (for instance, you can’t put two periods together), but usernames are very flexible. The biggest restriction is that you cannot share the exact same username as anyone else at your domain. Someone is already using my username. What can I do? You can create your own unique username. For instance, if your name is Bob and you have cats, your username could be “bobthecatguy”. You can try a different e-mail provider. If your name is taken in Gmail, try Outlook.com or Yahoo Mail. The same username can be registered with different domains. Register your own domain. If you register your own domain, you can create any username you want to go with it. You can even create more than one.